Easy Hits 4 U is a traffic exchange that anyone can easily use to drive traffic to their website or offer. But is it really worth your time and/or money? Will this place help get you the results you desire? Or is Easy Hits 4 U a scam that is just going to be a complete waste? I’ll jump straight to the point here and tell you that No Easy Hits 4 U is not a scam… However in my opinion it really does not provide all that much value and I would not recommend it to many people. Easy Hits 4 U (at easyhits4u.com) is a 1:1 traffic exchange where you can advertise different offers via links, banner ads, and text ads. They offer both free and paid services, meaning that you can get free traffic to your website or you can pay for it. If you choose to go the free route you are going to have to invest time into this but if you pay you can just buy traffic without really spending any substantial amount of time. When you advertise with this traffic exchange your ads are displayed to other members on the site who are doing the same thing as you. Basically how it works is you view other people’s ads and they view your ads. It’s just a big exchange of traffic. As I said, you can pay for traffic in not have to invest any time in this, but I want to talk about the free route first, or you don’t pay a dime. If you want to drive visitors to your advertisement for free then you will first have to view ads from other people. When you view ads you will earn credits which you can then use for Easy Hits 4 U to advertise your link which other people will click on to view. It is a 1:1 traffic exchange, meaning that for every ad you view someone will view your ad, which is fair. When you click on someone’s add to view it you will have to stay on their page for 20 seconds and you will then have to enter a captcha code to verify that you are a human. After that your account will be credited and can use those credits to have your own ad displayed. Other people will then do the same thing for your ad… They will click on and view it for 20 seconds to earn credit so that they can display their ad. This is the free option. If you want to choose to pay for a membership then there are benefits to be had, the biggest one being that you don’t have to spend tons of time viewing ads. They have two different types of paid memberships, Premium and Ultimate. When you purchase one of the paid memberships you will get a certain number of banner impressions and text ad impressions. 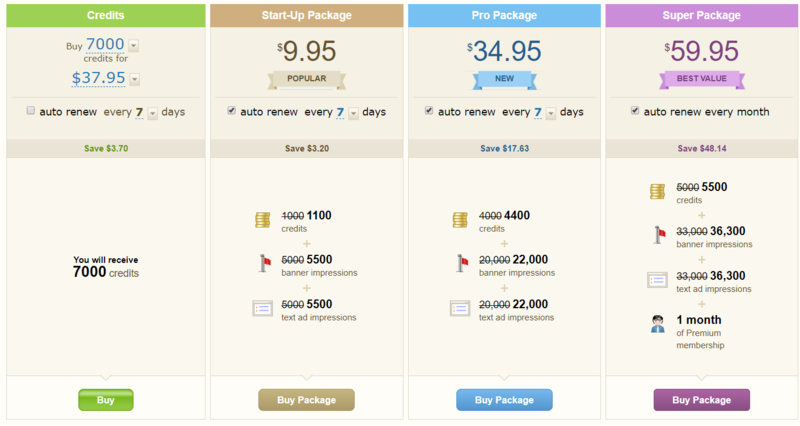 For example with the premium membership you get 2000 banner impressions. This means that your banner ad will be shown to 2000 people. In addition to this the amount of time you will have to spend on sites to view ads decreases. Of course you don’t really have to view any ads anymore because you just paid for advertising to your links, but if you do want to you do not spend as much time. In addition to this you will also get more access to some of the marketing tools that I will go over in a bit. And besides the paid memberships you can also buy plain old advertising. You can buy purely credits, or you can buy different packages that include credits and text ad/banner impressions. These packages below that you can buy it only give you credits and a certain number of ad impressions whereas the memberships give you this and more. They also provide marketing tools that are available, even with the free membership. You will be able to use things like a site rotator, in which you will be able to rotate between the different advertisements you are displaying, along with Geo targeting which will allow you to advertise to specific areas of the world. All might sound good up until this point but the truth is I would never use a traffic exchange like this. Why not? Three words… LOW QUALITY TRAFFIC. Traffic exchanges like this in my opinion are massive wastes of time and money. This is about the lowest quality of advertising you can possibly get online. Just think about it for a second.… The advertisements that will be displayed will be placed on the Easy Hits 4 U website. The people that are going to view these ads are people just like you who are clicking and viewing to earn credits so that they can advertise their offer. They are not clicking because they’re interested. They are doing so so that they can earn credits. For this reason you will find that conversion rates with very low quality and untargeted traffic like this will be very low. 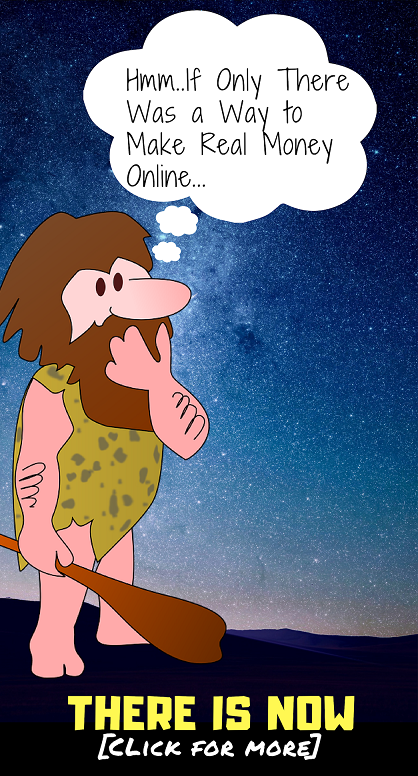 It is true that traffic is the lifeblood of all online business, but not just any traffic. If you don’t have quality targeted traffic then there is no point of having traffic at all. Sure… The ad you are displaying me attract some people’s attention and you may get some conversions, but I can pretty much guarantee you that it won’t be much. Final Thoughts on Easy Hits 4 U – Scam? Easy Hits 4 U is not a scam like other shady traffic exchanges out there, for example: Traffic Hurricane and AdsCrypto. However… it is just not worth it for most people out there. Maybe if you’re just starting out in the online world and have $0 to spend, then maybe it could possibly be worth your time… But even then the answer is still probably that it would not be. The traffic from these types of traffic exchanges just isn’t any good, that is all there is to it. And if you are planning on getting traffic from search engines like Google this could actually hurt you, because Google will see that people are leaving your site after a very short period of time. The one positive thing that I will say about this particular traffic exchange is that I like how they do provide marketing tools for members to use. They are amazing or anything but they’re better than nothing. If you want to learn how to get free traffic to your website in a sustainable way that lasts, then I would suggest taking a look at the Wealthy Affiliate program. This program also offers a free membership and teaches you how to get free traffic from search engines, like Google, which is what I do to make money online. You can click the button below to read my review and learn more.